Initiative 1634 on our fall election ballot is not only corporate-written and corporate-backed, it seeks to supplant the democratic will of local governments. Sure it's just about soda taxes, but if it passes we will surely see more like it. The alarms about a corporate takeover of democracy have been sounding for years. But in our supposedly populist, independent-minded state, the real thing has arrived. It comes with what you might expect from corporate interference in politics – massive business spending, dishonest advertising and, ultimately, the goal of replacing democratic mechanisms with the corporate will. I’m talking about Initiative 1634, the disingenuously named “Yes! To Affordable Groceries” campaign that’s on the statewide ballot this fall. We still adorably call these “citizens initiatives.” But there isn’t a dime behind Initiative 1634 that comes from an individual citizen. 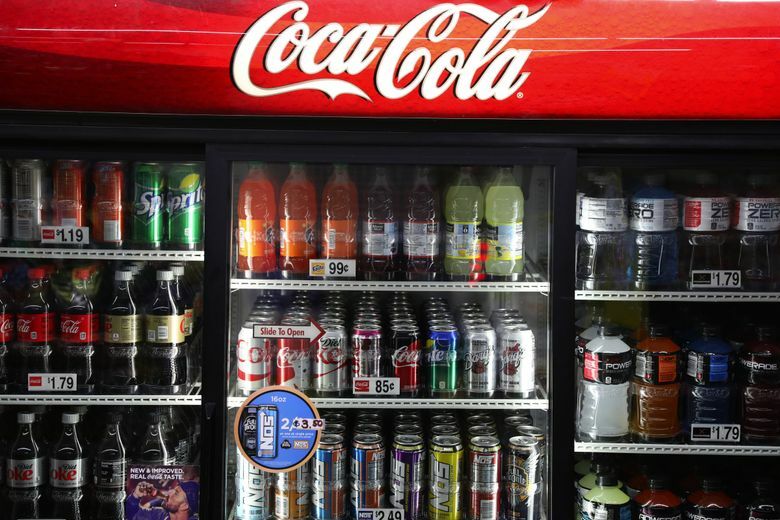 Of the $13 million donated to date for the measure, 99.8 percent is from four out-of-state soda corporations. This money is being used for one of the more misleading ad campaigns I can remember, in which there’s no mention made of the measure’s sole purpose for being – which is to stop soda taxes. It’s being sold instead as stopping the taxation of life-affirming food. Even though no such food taxes exist in this state. The initiative itself begins, “Whereas access to food is a basic human need of every Washingtonian.” The “whereas” section goes on like that, but never mentions soda, only groceries. The advertising is even more deceptive. One features “Edith’s Story,” with a fretting woman standing in the vegetable aisle with her grocery cart. “We should not be taxed on what we eat. We need to eat to survive,” Edith says plaintively. Edith, good news! Because it turns out you have nothing to worry about – unless you’re hooked to a Mountain Dew IV drip. Worse than the deception, though, is how anti-democratic the proposed law is. It uses the concept of “statewide pre-emption” to bar any town or city in the state from taxing soda, even if the people there want to. Personally, I’m not a fan of soda taxes (they fall too much in the nanny- state category for me.) But if Tacoma, say, wants to levy one, then who am I to say it can’t? Local control and all that. Still, the sorry truth is the corporate-concocted con being employed here is just too slick. Who is going to argue with poor Edith, who after all is just trying to buy some “special nutrients” and survive? As cynical as this is, it will probably pass. The irony is soda taxes are hardly popular. If they’d been honest and said straight up “we’re banning soda taxes,” they probably could win that vote. There are three other initiatives on the ballot, and the contrast is striking, because real citizens helped pay to put them there. All three have thousands of donors, not just five like the Big Soda measure. These initiatives involve important issues – climate change (I-1631), gun control (I-1639) and police use of deadly force (I-940). All have their pros and cons, which voters can grapple with in the spirit of democracy. Big Soda’s measure is different, and it’s a watershed. This is corporate power not only writing its own law and selling it with a dishonest message, which we’ve seen before. But doing it this time to supplant the democratic will of our own local governments. Sure it’s just soda. But you vote for that and on principle you may as well bow down to your corporate overlords. As they will surely note the submission and be back for more.